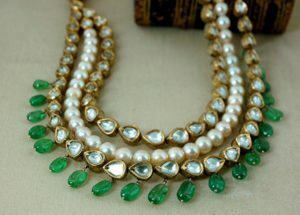 Indian Jewellery holds a mirror to India’s rich cultural diversity. The temples in South India, Varanasi, Rajasthan and other Indian States that are still preserved from hundreds of years ago give us a glimpse into the kind of beautiful jewellery that adorned the gods & goddesses, kings and queens of a bygone age. 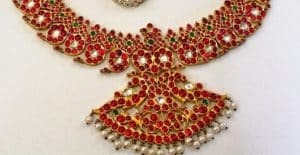 Some of these jewellery pieces are commonly worn even to this day.Classical Indian dance forms require the adornment of similar traditional jewelry to complete the physical transformation of the dancer. 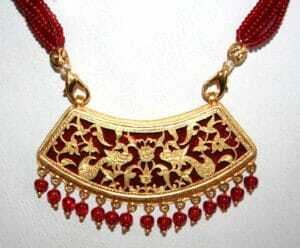 Each region in India is popular for a certain kind of jewellery. 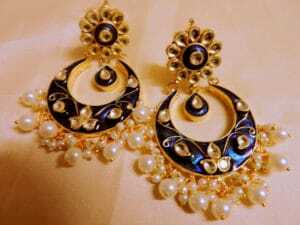 Gold jewellery is popular in Tamilnadu, Kerala, and Karnataka & Andhra Pradesh.Gold jewellery is precious evidently and is gifted to a bride at the time of her wedding.Kundan, Meenakari and Polki diamond jewellery are popular in North India.They draw inspiration from Mughal designs. Silver jewellery is particularly popular in the regions of Rajasthan, Gujarat, Madhya Pradesh and Himachal Pradesh.Jewellery made from beads, stones and animal claws are popular in the North Eastern States such as Assam & Manipur.Traditional and contemporary jewellery are available in the most interesting and stunning designs in India the availability of a wide variety in Indian jewelry is mainly due to craftsmanship and intricate designs of a high order.At Shopkhoj, we have had an amazing journey through different cities, curating the best and most interesting jewellery shops in India and presenting them to you with reviews and ratings so that you can save time and money while shopping and also have an enriching experience in the process.We have categorized the shops as dealing in precious jewellery, silver jewellery & imitation jewellery.Below is the list of common jewelry items you will find in across shops in India. If you want to know where to find a particular item, just head to the Shopkhoj homepage and initiate a search!